We all have different goals when going out into the night sky. Some like to Star Hop, some have certain objects in mind. Some like to keep an Observation Log, while others like to go on a Messier Hunt. With that in mind, we’d like to share some handy information and forms to make your viewing time as easy as possible. A Star Chart is a great way to get your bearings in the night sky. If you have a smart phone there are tons of great apps, but if you’d like to have your own Chart, you can download them here. An Observation Log is very popular among fans of the night sky. It will also be needed if you choose to tackle our Messier Hunt Challenge ! 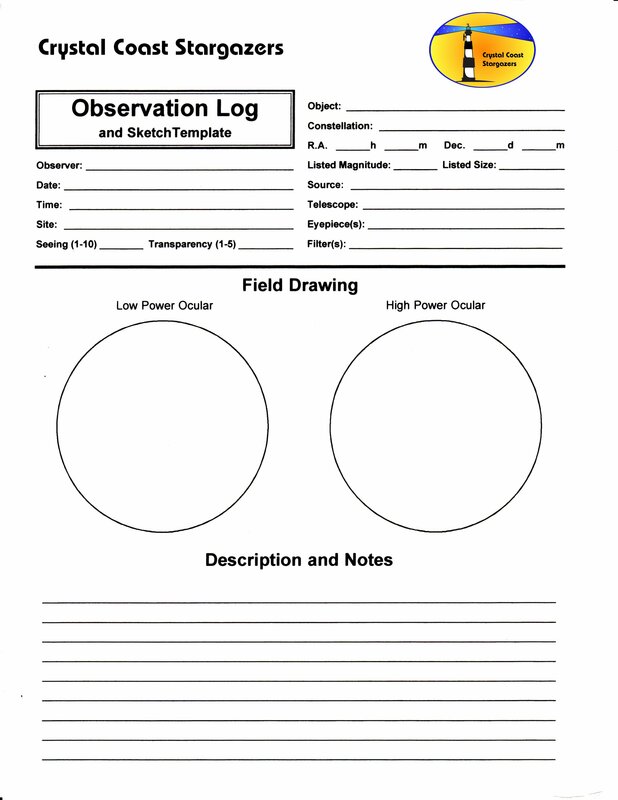 Our Observation Log is available for Download here. Double click to enlarge and “right click” to save. We have all been to the dark site and been blinded by someone’s stray flashlight or headlights at least once. And we’re all probably guilty of doing it ourselves even if accidentally or unknowingly. This list (PDF linked below) is not necessarily a set of rules, but rather things to be aware of and mindful of when attending an event at the dark site. It’s intended to limit exposure to stray light, help preserve everyone’s night vision, prevent interfering with personal projects and to increase everyone’s enjoyment of the activity.